Aleksandar Džambazov was involved in two Macedonian Eurovision attempts. In 1996, he conducted ‘Samo ti’, the song with which Kaliopi won the Macedonian pre-selection in Skopje. However, in the end, Kaliopi did not perform in the Eurovision Song Contest, as she was eliminated in the audio pre-selection which was organized to determine which twenty-three countries would compete in that year’s international festival final in Oslo. Two years later, in 1998, Macedonia and Džambazov were luckier, when Vlado Janevski represented the former Yugoslav republic in Birmingham with ‘Ne zori, zoro’. As Macedonia was drawn last (and that year’s winning song, Israel’s ‘Diva’, which was of course reprised at the end of the programme, was performed without any orchestral accompaniment), Aleksandar Džambazov is the last-ever musician to have conducted a Eurovision entry on the international stage. How did young Aleksandar get interested in music? “The music gene was part of my family. My father was a Wunderkind at the prim, the Turkish version of the mandolin. As a child, he was even sent to Istanbul to further master that instrument. My aunt, who was widowed and lived with our family, also played the prim. She used to sing lullabies for me as a baby, accompanying herself on the mandolin. As I was told later, I ended up singing lullabies for her, singing the songs she had sung to me… and she fell asleep instead of me! I was very lucky to meet Sergej Michailov. 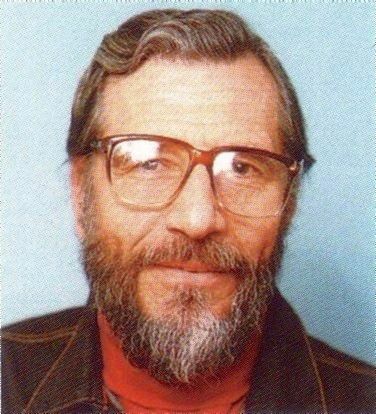 He was a Russian aristocrat who had fled the communist regime in the Soviet Union and settled down in Macedonia. He was an excellent composer and pedagogue, who had even taught the King of Japan. In tip, he managed to stimulate the miners and factory workers in our town to such an extent that they performed operas. He also taught music to the local children. Thanks to him, all children in town were fond of music, discussing the basics of music theory amongst one another! I passed an audition with him. Following that, Michailov became my violin teacher. I attended his lessons for three years” (1945-’48). As a teenager in Skopje, Džambazov slowly lost interest in the violin and classical music altogether: “Though I had an excellent violin teacher, Ettore Balestri who played in the Scala in Milan before coming to Skopje, I did not enjoy playing very much. Parallelly, I got more and more fascinated by jazz. I discovered the recordings of American band leaders such as Xavier Cugat and Glenn Miller. The crucial moment, however, was in 1952, when I saw the old Hollywood movie ‘Bathing Beauty’, which featured the big band of Harry James. From that moment onwards, I knew I wanted to be a jazz musician. My objective? To become Macedonia’s answer to Gershwin! To achieve this, I had to learn to play another instrument, as it is hardly possible to play polyphony on the violin. A friend helped me on the guitar. 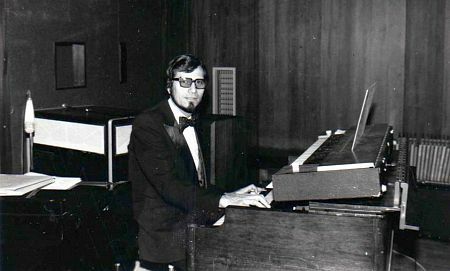 By that time, I had also mastered the piano, which was my second instrument at music school. Being the favourite of the school’s principal, I was allowed to play jazz after the regular school hours. This was an immense privilege, because, in the first years after the war, jazz was frowned upon by communist authorities as it originated from the capitalist West. All of that changed after the Tito-Stalin split in 1948. After it, there was absolute artistic freedom in Yugoslavia. I got in touch with Dragan Djakonovski-pato, who was five years older than me. Really, that man is the father of pop and jazz music in Macedonia. He allowed me to join his jazz sextet. 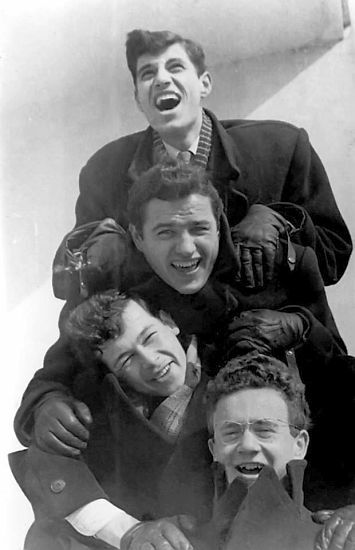 In 1953, when I was seventeen, I did my first public performance with Djakonovski’s band. I stayed for the next three years. 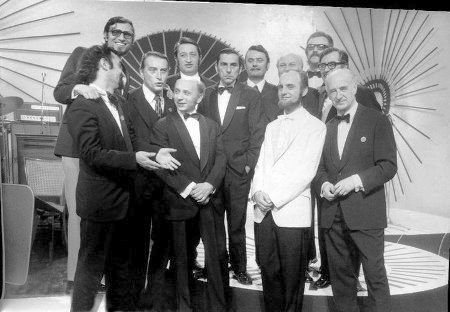 As Italian music was extremely popular in Macedonia in those days, our band’s regular repertoire was full of Sanremo songs for which Dragan had written out the arrangement by listening to the original Italian records. 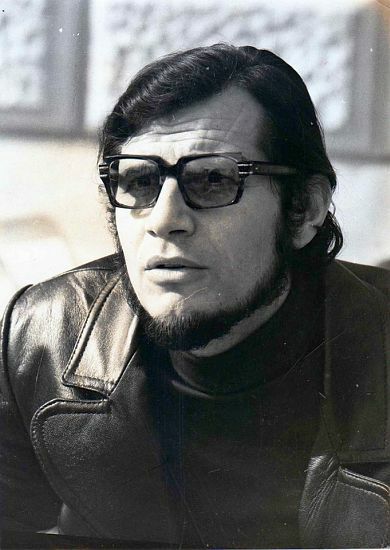 In total, between 1960 and 1976, twenty-one of Aleksandar Džambazov’s compositions took part in the Opatija Song Festival, making him the record holder amongst Yugoslavian composers in terms of number of participations. Some of his most popular Opatija compositions include ‘Pred branovi’ for Radoslav Graić, ‘Ti i jas’ for Marjana Deržaj (both 1961), ‘Ljubav i motor’ for Miki Jevremović and the 4M quartet, which was awarded a special jury prize in 1962, ‘Stom te vidam’ for Dime Popovski (1966), and ‘Dojdi’ for Violeta Tomovska in 1967. For most of the songs mentioned, Džambazov worked with lyricist Gjoko Georgiev. 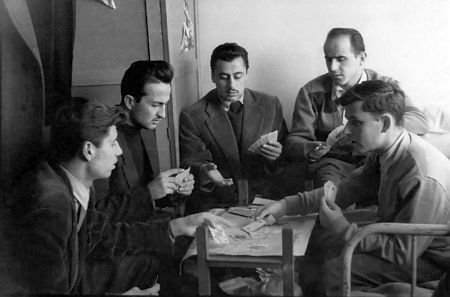 In the 1960s and 1970s, Džambazov’s creations were recorded by many other Yugoslavian artists, such as Nina Spirova, Tereza Kesovija, Vice Vukov, Zdenka Kovačićek, and Ambasadori. Moreover, his composition ‘Sunčani januar’, interpreted by Zvonko piić, took part in the 1963 Belgrade Song Festival. Maestro Džambazov did not make his mark in the Skopje Festival as an arranger and conductor only, but as a composer too. His composition ‘Sramežlivi luge’, interpreted by Violeta Tomovska, Ljupka Dimitrova, Zafir Hadzimanov, and Dime Tomovski, won the first edition of the festival in 1968. Later onwards, two more of Džambazov’s compositions were declared winners of the competition: ‘Samo ti’, interpreted by Miki Jevremović and Zoran Milosavljević in 1971; and ‘O, ljubav neverna’, performed by Zafir Hadžimanov in 1978. He took part in the festival with many more songs, which were interpreted by the likes of Ɖani Maran and Zoran Georgiev. 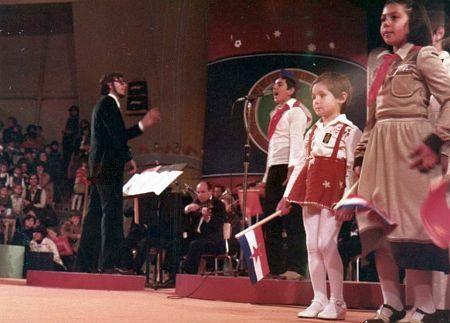 In 1969, Josipa Lisac and Elda Viler sang his composition ‘Doviduvanje’ (arranged by Stipica Kalogjera), which only came second, but went on to become a huge hit success across Yugoslavia. Another of Džambazov’s brainchildren is Zlatno Slavejče, the Golden Nightingale Song Festival, a singing competition for children which has been held annually since 1971 (with the exception of 1981) and therefore is one of the oldest children’s song festival in Europe, second only to Italy’s Zucchino d’Oro. In the early years of the festival, Džambazov wrote dozens of arrangements and composed no fewer than thirteen songs for the competition, of which ‘Mojata učitelka’ was declared winning entry in 1976. This song constituted the debut of the later famous Macedonian pop star Kaliopi, at that time just nine years old, who had been discovered by Džambazov during an audition in Ohrid. 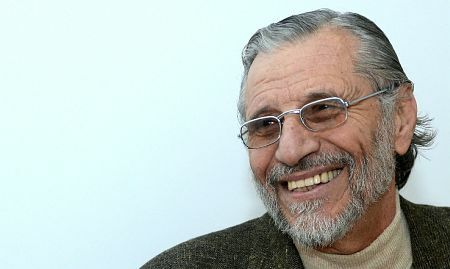 Apart from that, Džambazov composed the theme tune for Zlatno Slavejče, ‘Za site deca’ (For every child), which has become an evergreen in Macedonia. 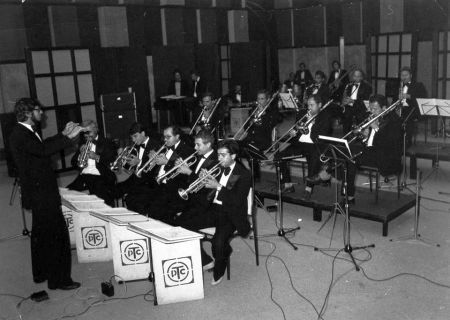 Between 1971 and 1989, Džambazov and his big band accompanied all songs competing in the Golden Nightingale. Though the big band was skipped from the competition in 1990 due to a lack of budget, Džambazov has remained involved as a member of the selection committee. In spite of his long spell at the helm of RTV Skopje’s Big Band, Aleksandar Džambazov found time to create a quite impressive oeuvre of serious music. In 1966, his ‘Rhapsody for Skopje’, a piece for piano and orchestra with unmistakable Gershwin undertones, won the 5th International Competition for Symphonic Jazz in Italy. Moreover, he composed ‘Smile before dawn’, a piece for piano and vocalist based on a poem by Jovan Koteski (1967), ‘Seven Dance Variations’ for piano and orchestra (1977), and several choral pieces. 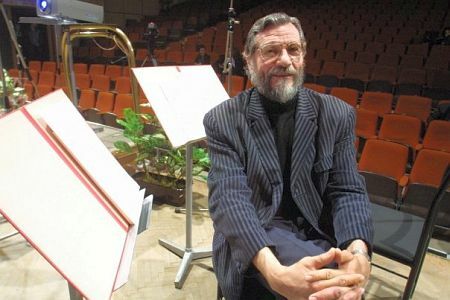 In the genre of brass band music, Džambazov wrote countless orchestrations, whilst many of his compositions, such as ‘Te čekam’ for Olgica Andonova (1970) and ‘Zemjo naa najskapa’ for Dragan Mijalkovski (1975), took part in Yugoslavian music festivals for revolutionary and patriotic songs. Apart from all this, he composed the music to radio and TV plays as well as several movie soundtracks, most notably for the film ‘Memento’ in 1967. The Library of the Macedonian Association of Composers, Lyricists, and Music Publishers contains 1,450 pieces of sheet music in which Aleksandar Džambazov was involved as a composer, arranger, or producer. His son Igor (born in 1963) is one of Macedonia’s most popular actors, singer-songwriters, and TV hosts. 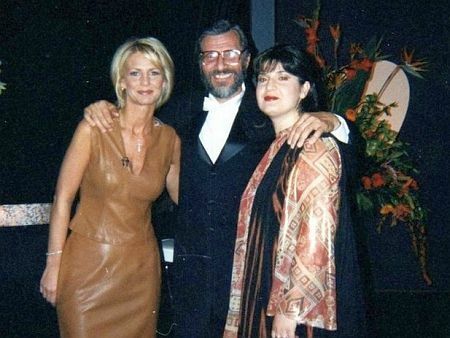 In 1994, the Skopje Fest, which had not been held for fourteen years, was revived by MKRTV, the Macedonian broadcaster. 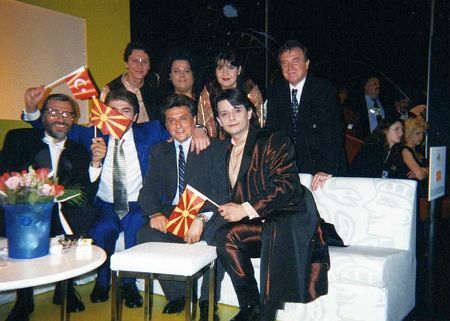 In 1996, for the first time, the Macedonians were given the opportunity to participate in the Eurovision Song Contest as an independent nation. MKRTV decided to turn the Skopje Fest into Macedonia’s Eurovision pre-selection. Of course, all songs were accompanied by Aleksandar Džambazov’s big band, enhanced by classical string and woodwind players. The winner of the 1996 Skopje Fest was Kaliopi with her self-penned song ‘Samo ti’. Unfortunately, this melodious song never reached Oslo’s Eurovision stage, as Macedonia was eliminated in the audio pre-selection, held to determine the twenty-three countries allowed to participate in the international Eurovision final. Kaliopi finished twenty-sixth among twenty-nine participants and therefore, her first Eurovision adventure ended there. It took sixteen more years, until 2012, for Kaliopi to finally make it to the Eurovision Song Contest with ‘Crno i belo’, penned by herself in collaboration with her former husband Romeo Grill. In Baku, Azerbaijan, ‘Crno i belo’ managed to qualify for the Eurovision final, finishing thirteenth. In the 1990s, with many countries from Central and Eastern Europe eager to enter the competition, the European Broadcasting Union tried several formulas to make for a three-hour-contest. After the never-repeated solution of an audio pre-selection in 1996, which cost Kaliopi dearly, a relegation rule was introduced, meaning that the countries with the worst scores in the past five years would have to miss out on one festival edition. Due to these complicated regulations, Macedonia was doubly punished, as Kaliopi’s failure to qualify automatically relegated the country from the 1997 competition as well. Finally, in 1998, the Macedonians made their debut in the Eurovision Song Contest, with ‘Ne zori, zoro’, a somewhat underwhelming ballad composed by Grigor Koprov. It was performed by Vlado Janevski, a crooner in the style of Dean Martin. Bas Tukker interviewed Aleksandar Džambazov in May 2014. Many thanks to Nataa Guleska for her tireless work as an interpreter during the interview. A useful website with tons of information about the Golden Nightingale Children’s Song Festival (Zlatno Slavejče), the brainchild of Aleksandar Džambazov: www.zlatnoslavejce.com.mk. More information about the 1998 Skopje Festival, in which ‘Ne zori, zoro’ was selected to represent Macedonia in the Eurovision Song Contest: EuroSong News (Magazine of OGAE, the Eurovision Song Contest Fan Club), No. 61-62 (1998), pg. 73-76. All photos © Aleksandar Džambazov. Many thanks to him for allowing us to use this material.